F1 is a sport that rather likes to beat itself up; to look inwardly with a degree of disgust; to self-recriminate. At least certain factions within it do. We've seen it rather a lot this season especially. And there's been a bit more of it about since last Sunday in Montreal, following the news that Adrian Newey plans to side step F1 in order to do other things. 'What does this say about modern F1?' was the gist. It's a terrible indictment of the sport, of the regulations, that the design standard bearer should chose to go off and pen boats or whatever it is to be. It was all given a bit of encouragement by Newey earlier in the year having made some critical comments about the 2014 spec of rules. Perhaps though - without meaning any disrespect to Newey - such criticism from him has a touch of Mandy Rice-Davies's 'he would say that wouldn't he?' about it. After all, Newey was and is the aerodynamicist supreme, so is unlikely to be too keen on anything that dilutes the importance of aero, and the increased (and probably temporary) variation of power unit performance has indeed done that this season. And plenty of others expressed the view that the balance of importance had been tilted rather too far in favour of aero in 2013 and previously. But also one way in which F1 history can be helpful is that in many matters it provides some oil of perspective to pour on the troubled waters of the moment; demonstrate that a lot of things aren't as peculiar to the here and now as you might think. And it does in this case, both for Newey's personal tale and those for F1's technical stars more generally. For one thing Newey's interest in other things and wavering motivation towards F1 design is not exclusive to 2014. He came very close to stepping away from the sport back in 2001 too; indeed then having been seriously wooed by the Jaguar team (which ironically in time evolved into Red Bull), even going so far as to sign a contract, he was convinced by his at the time McLaren employer Ron Dennis to do an about turn. It was thought that part of that 11th hour rapprochement - with echoes of last Sunday's news - would involve letting Newey go off to design America's Cup boats, something as we know he long has been interested in. Not losing him to a rival was just as important as Woking having him for its own benefit. Newey more broadly appeared to have lost a lot of his enthusiasm for F1 in that era, enthusiasm that wasn't really rekindled until he joined the then-fledgling Red Bull operation in 2006. It was understandable too, as many of Newey's ideas throughout that time were shot down by the FIA, some before they'd even been raced (including something akin to KERS long before it became famous). This was the same FIA that just so happened to have a highly adversarial relationship with McLaren's head honcho Dennis, as well as a close one with the team's rival of Ferrari. We found out some time later that the Italian team had a technical regulation veto too (and indeed still does). Not that I draw conclusions from this, you understand. So Newey's desire to apply his skills elsewhere isn't necessarily something related to whatever the rules are in here and now - not entirely anyway. Indeed Newey noted himself shortly after last Sunday's news was announced: 'I've always said I didn't want to spend my whole career purely in motor racing'. And plenty of previous F1 design geniuses of their age have displayed an itch to go off and do something else, an itch that they have often acted upon. Gordon Murray who'd created some of the finest F1 cars ever seen for both Brabham and McLaren in 1990 went off to design road cars - admitting subsequently that after twenty years at the F1 coal face he was 'knackered', was feeling even then that the design rules were 'getting narrow' as well as that he's 'always looked for a new challenge'. John Barnard - the man responsible for a succession of classic McLaren MP4s (including the sport's first true carbon fibre car) as well as ex of Ferrari (pioneering paddle shift when he was there) and Benetton - a few years after Murray's exit departed himself, in his case to design furniture and medical instruments(!). 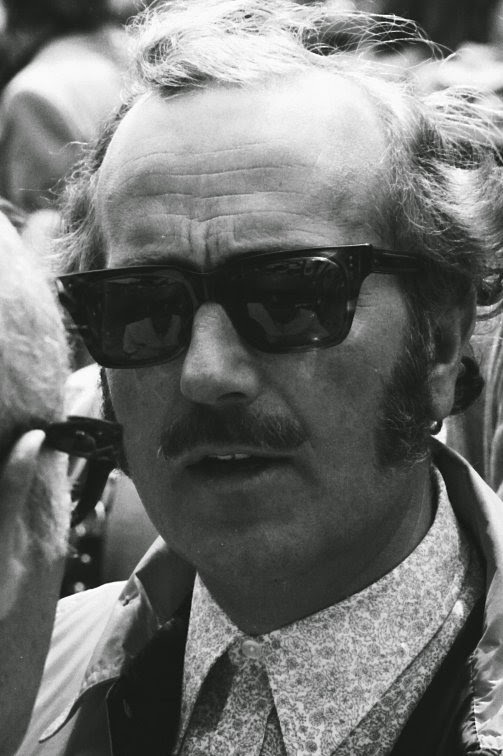 Even Colin Chapman - for whom for much of his career as well as being a magical innovator was also known for his unparalleled appetite for competing in the sport's technical race - it was said lost a lot of his enthusiasm for F1 towards the end. From 1978 to his death in 1982 he was rather swept up in his involvement with infamous American tycoon John DeLorean and his equally infamous road car project. Perhaps also swept up with his jet set lifestyle... Bitterness over the governing body and rival teams conspiring to stamp on his Lotus 88 design in 1981 didn't help (and this in a year wherein almost all of the said teams blatantly flouted the rules in any case). Aeroplanes and their design started to get a lot of his attention too. Perhaps the likeliest explanation in Newey's case and others of similar ilk is that if you're a highly motivated and restless person - as these people tend to be - you'll likely always have some deep-seated desire to look for the next challenge. Sometimes that next challenge is still in F1; sometimes - and for varying reasons that may or may not include feeling constrained by F1's ways - it is not.